Winter is upon us, and many of us are looking forward to the holidays. For most, it’s the best time of year. But there is a higher risk of certain illnesses. If you’re keen to toast health and happiness this Christmas, here are some healthy living tips to heed. Illnesses fly around throughout the year, but in the winter, we ted to be more susceptible to poor health. Coughs, colds, and other viral illnesses spread like wildfire. In most cases, you won’t need intensive medical treatment. But you may be feeling under the weather for a few days. Here are some common winter ailments, and some tips to help you cope. Colds: the common cold gets all of us at some point. This highly contagious viral illness is spread through droplets in the air that are released when you cough or sneeze. When you’ve got a cold, you’ll probably feel tired, and you’ll have a runny nose and a sore throat. 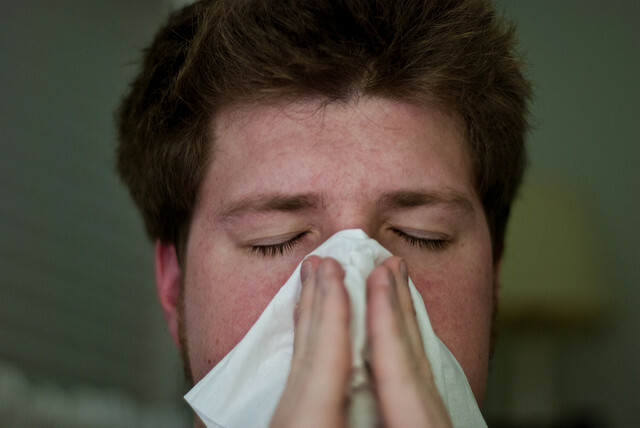 You may sneeze a lot, and you might feel bunged up and congested. There’s no miracle cure for a cold. But lots of rest is recommended. You may also find that inhaling steam helps to clear your head. Painkillers can be used to treat headaches. Always make sure you keep your fluids up when you’ve got a cold. Dehydration will exacerbate your symptoms. Coughs and sore throats: coughs and sore throats are often accompanied by a runny or blocked nose. If you’ve already got a sore throat, you’ll probably find that coughing makes it worse. Gargling antibacterial solutions can help to cure a sore throat, but this isn’t a very pleasant experience. Drinking tea with lemon and honey is also one of the most effective ways to use honey. Honey soothes your throat by reducing inflammation. It also has antibacterial properties. In most cases, coughs subside without the need for treatment. However, if you’ve had a cough for longer than two weeks, see your doctor. If you have a persistent cough, there may be an underlying cause. Flu: flu is particularly common in the colder months. It is a viral illness, which causes muscle pain, headaches, and fever. Flu can also cause symptoms similar to those linked with colds, for example, a dry cough and runny nose. Flu symptoms usually disappear within a week without any need for treatment. The best medicine is rest. You can take painkillers to reduce your temperature and ease aches and pains. In some cases, flu can affect people much more severely than others. If you’re a senior or you have asthma or compromised immunity, you should look into vaccination. Flu immunization is also recommended for pregnant women and those who work in the healthcare sector. Winter vomiting bugs: vomiting bugs, like norovirus, tend to be more common in the winter. There’s no way of preventing sickness bugs. But you can reduce your risk of developing symptoms by steering clear of people who have the bug. It’s also essential to avoid seeing people if you’ve been sick in the last 48 hours. Stay off work and keep your kids off school. This will help to prevent the spread of germs. Remember to wash your hands frequently. If you’ve been sick, try and sip water throughout the day. Dehydration can make you feel even weaker. The holidays are the most wonderful time of the year for many of us. But this can also be an incredibly stressful time. We all tend to get busier at work as the holiday season approaches, and there’s a lot to do. In the run-up to Christmas, it’s easy to get bogged down in a to-do list as long as your arm. You may feel like time is going too quickly, and there aren’t enough hours in the day. Christmas can also be stressful because it’s expensive. For some, this is also a very lonely time of year. Not everyone has an idyllic family celebration awaiting them. Stress affects us all to some degree. 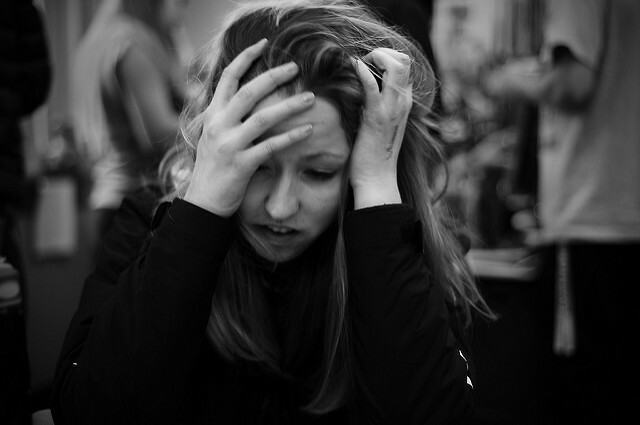 The problems start when you struggle to cope with stress, and it gets worse. Soon, it can get on top of you, and you feel like you’re swimming against the tide. If you feel stressed, try and work out what’s causing it, and how you can react in a positive way. There are often self-help techniques that you can try to overcome stress and make you feel less anxious or panicked. Examples include meditation, exercise, and positive thinking. If these methods don’t work, consider seeing a doctor. You may benefit from treatments like therapy, for example. Signs of stress you shouldn’t ignore include insomnia, changes in your mood, and prolonged periods of feeling low. Often, stress can increase your risk of depression and anxiety. There may be many reasons why you’re not looking forward to Christmas. For many, this is a time of year that makes us think of people we’ve lost. Or you may feel lonely, or anxious that another year has passed. It can be a rollercoaster of emotions. If you are feeling on edge, or you’re suffering because of bereavement, seek help. Talk to somebody about how you feel rather than bottling things up. Sharing your thoughts can make you feel better and enable you to move forward. When we think of health matters, we often prioritize our bodies over our minds. But mental health is an important issue that we should talk about. The holidays are famed for overindulgence. Perhaps you’re planning to eat every festive treat going. Or you’ve got a string of parties lined up. Christmas can take its toll on your body, so try and maintain a balance. It’s a good idea to detox beforehand and afterwards. 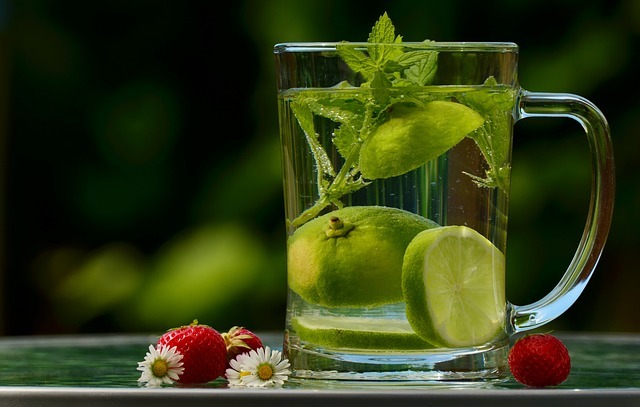 Detoxing is designed to cleanse your body from the inside out. The aim is to rid your body of toxins and restore order. You don’t have to sign up to a boot camp or go on a crash diet to detox. Focus on hydration and clean eating. Make sure you get enough sleep, and try and work out regularly. Exercise is a natural form of cleansing, and it will also help you to sleep better. If you’re looking for ideas for recipes, search online. You can tailor your search to suit your tastes and dietary requirements. You could also look into buying some books. When you’re detoxing, it’s wise to avoid sugary, fatty, and processed foods. Concentrate on including foods that have nutritional value in your diet. It’s a busy time of year, and this can leave you craving sleep. Nobody wants to suffer from burnout just before Christmas. If you’ve got a hectic few weeks planned, try and take it steady. Relax on your days off. Aim to get to bed at a decent time each night. If you feel tired, go to bed. Don’t spend hours watching DVDs if you’re struggling to keep your eyes open. You’ll miss most of the episodes, and you’ll feel exhausted the day after. Try and maintain a healthy work-life balance. 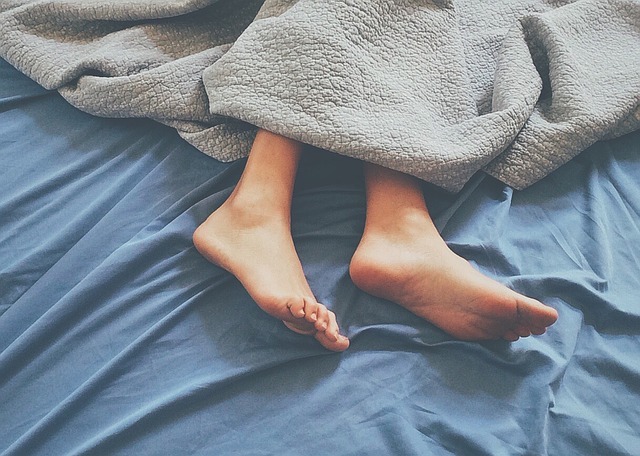 One of the main reasons people struggle to sleep is an overactive mind. If you’re constantly thinking, you can’t switch off and unwind. Leave work at the office, and spend your evenings relaxing. Catch up with your partner, run a bath or chill out with a good book. Get your mindset sorted before you crawl into bed. Resist the temptation to check emails or social media in the bedroom. 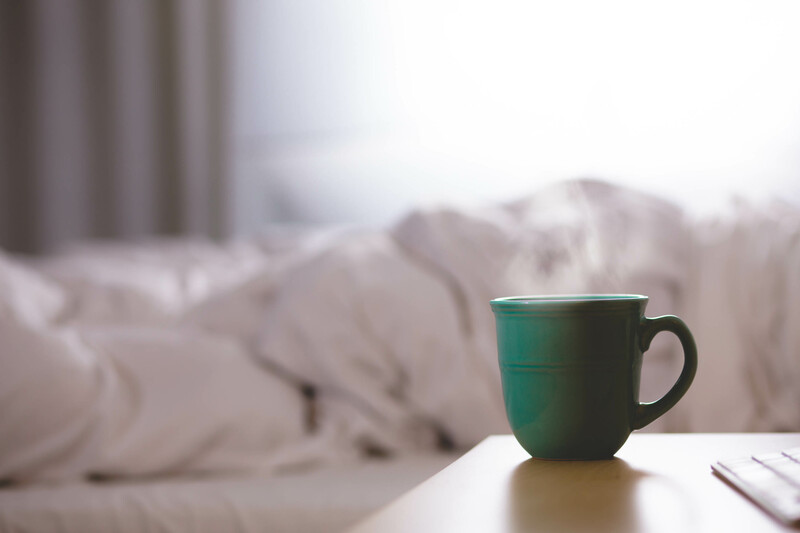 If you’ve had a late night, try and get to bed earlier the next day to make up the hours. Avoid going out several nights on the run if you can. Many of us enjoy a drink or two, and the festive season is usually awash with opportunities to party. Drinking is fine in moderation. But if you drink too much, you’ll feel the effects. You may do things you wouldn’t normally do if you’re drunk, and you’ll have to contend with a hangover. Hangovers are caused by dehydration and the effects of processing alcohol, which is a poison. The best way to prevent hangovers is to combine controlled drinking with hydration. Alternate alcoholic drinks with glasses of water. It’s also a good idea to try and get plenty of sleep. Tiredness can make the effects of a hangover much worse. When you wake up, drink plenty of water and try and eat. You may also find it beneficial to take painkillers if you’ve got a headache. If you’re going out for the night, always make sure you eat before you drink. Drinking on an empty stomach will make you get drunk faster. Christmas is coming. For some, this may herald wild excitement. For others, life may not be so jolly. As the holidays approach, it’s beneficial to bear your health and wellbeing in mind. Make a conscious effort to look after yourself. Go steady with drinking, and try and manage stress. If you’re struggling, or you’re anxious about the holiday period, seek help. Try and detox before party season starts, and get enough sleep. Hopefully, these tips will help you to have fun in the holidays without putting your health at risk. This entry was posted in Special posts on November 23, 2016 by Amélie.